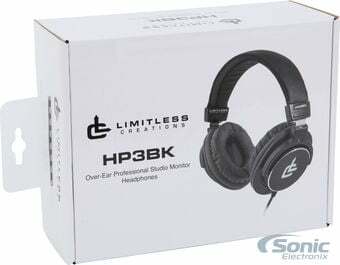 We are proud to introduce Limitless Creations' HP3BK, a closed-deck multi-purpose monitoring headphone. They are elegantly designed, light weight and comfortable. With a newly designed 45 mm driver, the HP3BK have accurate and pure sound. 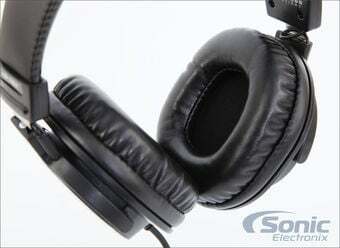 They can even reproduce the most subtle sounds and are suitable for all professional monitoring or long music listening sessions. 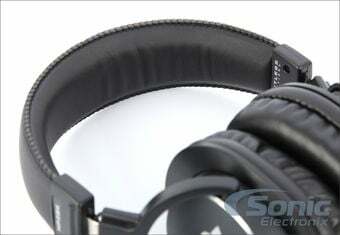 The HP3BK feature ultra-soft memory foam and protein leather ear pads for extended and comfortable listening periods. Complimenting the comfortable ear pads are extra large 45mm dynamic drivers that deliver crystal clear mids, highs and low hitting bass for a true sound experience. The HP3BK Also features a durable screw-on jack that makes sure you have a good connection when working in the studio or long music listening sessions. Limitless Creations also includes a 1/4" adapter so you can use them for studio monitoring or listening to music on your home sound system that require the larger adapter. Comfort is king with the design of the HP3BK. The headband features adjustable arms for all different head sizes, a comfortable protein leather and memory foam headband so you'll never get tired of wearing them. I am seriously shocked. I got these as a demo piece from Limitless Creations. I didn't know what to expect because I thought "oh they look similar to the Sony" or other studio cans, but they are way less money so there is no way they will hold their own. Boy, was I wrong. These are actually more comfortable than the Sony MDR7506 due to the pads being leather instead of the other material Sony has on them. - Straight cable ... I hate the the coiled cable which always gets funky. - Handle tons of power, but still play nicely with portable devices. I used in the studio and they worked fine there and off my iPhone 6. - Cable not removable. I just like this feature. very immersive sound. i listen to a lot of indie rock and classic rock and the sound is really a lot better than i expected for the price. The cable is too long for my needs because i use them at my computer desk. I received my HP3BK in the mail today. I'm replacing my Able Planet on-ear noise cancelling headphones that I paid $150 for, for a pair of inexpensive headphones that I can travel with. I was surprised by the overall quality of these headphones. Although not noise cancelling the earcups fit snug around my ear and the closed back naturally eliminated many exterior noises. My peers around me were unable to hear the music I was listening to as well. 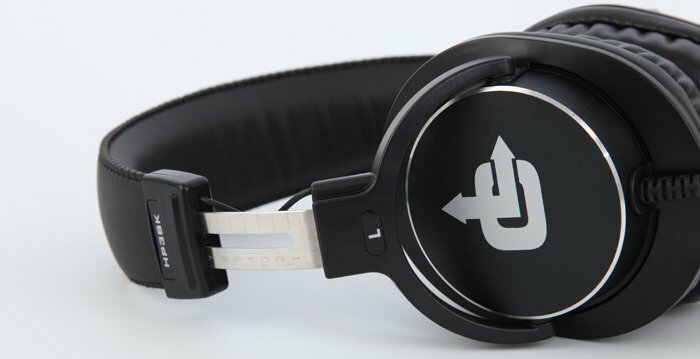 These headphones have a rich flat response that you would expect from a studio monitor. I really enjoyed these with my classic rock and other musical [non-bassy] genres. The 1/4" adapter allows me to use these with my digital piano. As well the long straight cord allows me to route it out of the way. I'm extremely happy with these and feel they are a great entry model to real studio sound. Excellent sound at the price point. Cups just barely press on my somewhat large ears, but I can still go a few hours of using these comfortably. The closed design keeps outside sounds supressed pretty well and there's no real sund leakage so you can listen loud and not bother those around you. The long cord is nice to have, I wrapped up most of it and tied it with a velcro zip tie so I can stay mobile while I wear them. The screw on 1/4" plug adapter is a nice addition too. Overall great value, would buy again. This a fantastic product for the money and great entry level pair for audiophiles. For the money you can't go wrong with these cans and you won't regret it. They are comfortable even after 4 hours of non-stop listening. Its great to have at the office. They sound best when listening to hip/hop/rap/dubstep, ok on rock (drums not tight and a little recessed). I didn't try any other genres yet. They are very efficient I got plenty of volume from my phone. They are not bass heavy but they do have a good amount of bass. Midrange is somewhat recessed. They are a little bright and I noticed some siblance (hisses from "s" & "t" sounds in vocals). They have a medium soundstage which is fine for the types of music I tried. Overall, they sound good.......Actually Great! when you consider the price. Just get em! I got these headphones on sale for $20, and I don't think you can find a better pair at that price point. These are comparable to the Audiotechnica M-50s that I bought a few years ago. They don't sound quite as good as those, but they are similar. The main problem with them is that the headphone cups are kind of small, and they clamp on my head a bit too tight. That'll probably work itself out as I wear them in more. As for the sound characteristics..
Bass - the bass is nice in these. they can handle very low frequencies and reproduce them pretty accurately. They aren't quite boomy with bass to the point that it overpowers everything, but ou will definitely notice that it is there. Mids - I don't feel as though the mids are recessed in these headphones. They can sound a bit on the bright side at times depending on the track. Highs - the highs are pretty crisp, and it's easy to hear all of the details in the music. These headphones are definitely a bargain at this price point. The response is relatively flat (which is ideal for studio monitors) and accurate. The build quality is also nice. not top of the line, but also not overly cheap. They don't feel like they'd break with a bit of abuse. I'm pretty satisfied with them, and I think you would be too. I bought theses as a back up in my mixing set. They are OK. They are not as loud as I would like and the bass response is weak. I'd recommend this product for the sound quality and affordable price. I'm pleased with this product and would recommend it to others. Great value. I've had some monitor headphones but this is the best so far. It's production is amazing. Crisp sound. I use these as my headphones I carry on the go with me because I value sound quality over portability. 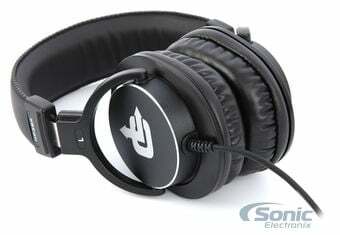 I must say comparing to my Sennheiser headphones these are very close and comfortable, I'd recommend these to anyone. closed back headphones. After reading the spec's on these I decided to give them a try. Well needless to say they are thrown in a box after about 10 minutes of work. Very Muddy sounding. No High frequencies at all. The $29.00 is about four times too much . I will never buy another. The headphones are comfortable and the sound is amazing! I would recommend these to anyone. Needed some headphones for my home studio. I think for price they are great headphones. Sturdy quality. Good bass and highs. I would recommend as these and I'm sure these are probably the best you can get at this price range. Good sound, low price, long chord, two adapters, and comfy innards. 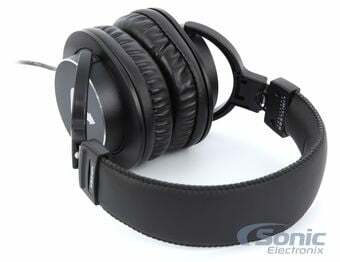 .., excellent sound and value, very comfortable to wear. I now own two and may purchase a third. Bought as a backup set so I can't comment on daily use. Sound was good and seems to be comfortable to wear. Way better than what I have tried from local stores. Sounds great! Very good quality and very good sound! I would highly recommend these to any music lover! There is really nothing bad that I can say about these headphones! It was an amazing deal and the sound quality is really amazing. Great buy ... excellent sound ! Very pleased with THIS headset - having used others. 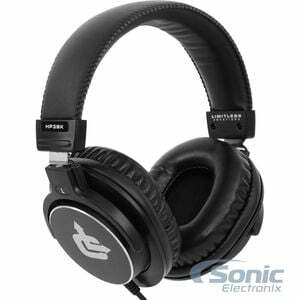 Great sound reproduction and very comfortable to wear. 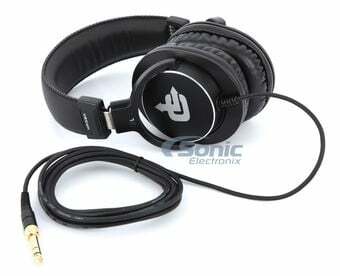 Excellent value, very comfortable and excellent sound quality at a very affordable price. 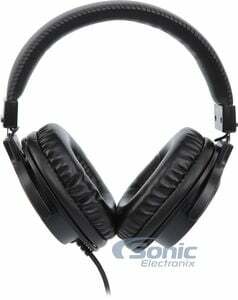 Highly recommended love the product and outstanding price, great sound, and the quality outstanding I hear everything. I bought these on a sweet deal to get for casual music listening and gaming. They sound great! The bass and mids are boosted a tad and the treble isn't as sharp as other headphones and earbuds I use for mixing and monitoring music, but that's a good thing. These are more casual headphones that make music and games sound great and are easy to listen to for several hours on end. The main drawback is the comfort. These are pretty tight on me and when I first began wearing them my jaw at the base of my ears would hurt after a couple hours. They've gotten a bit more comfortable, but they still squeeze pretty tight. Even when my ears are still good to go, sometimes I need to take them off just so my skull can breathe. Overall great headphones, especially for casually listening to music and gaming. When I wear these I can hear everything going on whether it be a cymbal in the background or an enemy's footsteps. Hopefully the comfort will improve as the foam continues softening up. I'd been searching far & wide for headphones with these specifications, to replace my old Sony's which was stolen.They give deep flat bass & crisp, clean highs. This pair really delivered, I particularly like the wires which are consolidated to one from the left phone. Also came with phono plug adapter, so I can plug it into 1/8 & 1/4, my portable & my home amplifier. I was surprised by the clarity and base on these headphones. For the money these are great. They are a very good deal., for the price. The sounds good and I have been enjoying them. These are very comfortable over the ear headphones. They look and sound great. I use them for monitoring while recording in my home studio. I'm very satisfied with their performance. A great value for the price. Highly recommended! Nice sound at great price fits around the ear good I would buy again. 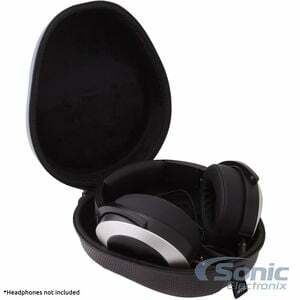 The Headphones has a good sound and I would buy them again plus Sonic Electronix has fast shipping. 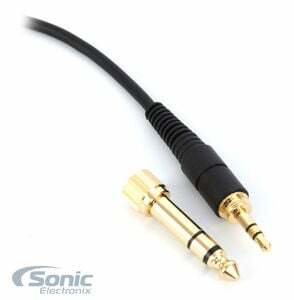 Great sound quality, and durable cable. I use these to practice guitar and they are very comfortable. Great product that will my business to grow. Sonic products are simply great, and this cutting edge software will be used in various ways. For 30 bucks great deal and sound. Real headphones for a steal. I bought a second pair a week later. Crank them up, sound great instruments don't blend together no distortion. Super happy. Very nice sound and good quality. Works great in the studio just what I needed. These head phones sound great for the price.they are great quality and I am very happy with them. Best Headphones I've Had ?! I got these for my 20 year old son for Christmas. He loves them. He made me listen to them, the listen to ones his little brother had which cost almost 100 dollars more!!! These ones sound WAY better!!!! Bought the HP3BK on eBay at a considerable discount. When I began using it, I found that it fit well on my head, was easy to install, and had excellent sound quality. I would absolutely recommend the HP3BK to anyone. One thing I found out quickly, though, is that these headphones do not react well to static electricity. I've been using these headphones daily for about 2 weeks now and I'm quite impressed with them. They are well balanced and seem to be quite neutral. The vocals and highs are really distinct and clear. The mids are pretty well defined. The lows are accurate and present, but seem to be more "real" (meaning the headphones don't artificially boost the low end). They are a great monitor (which is why I've been using it for my video editing), but also seem to be musical enough that I enjoy them on my iTunes/Spotify. These Headphones are of great quality and affordable I got three pair and told a friend and he loves them..
View all available accessories for the Limitless Creations HP3BK.